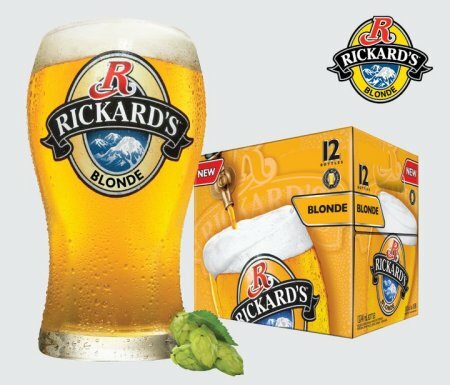 TORONTO, ON – After launching it on a limited basis last summer, Molson Coors Canada has given Rickard’s Blonde a full scale roll-out across the country. What makes Rickard’s Blonde special is the unique blend of four hops that is used to infuse the liquid, lending the beer a refreshingly flavourful taste and clean, balanced finish. “Our new German-style pilsner boasts a pleasant floral aroma and lively hop character. It is indeed the one beer in our Rickard’s portfolio which includes the highest concentration of hops,” commented David Hamel, Master Brewer with Molson Coors. Previously available only in Rickard’s Taster Packs in most provinces, Rickard’s Blonde can now be found on its own in 6 and 12 packs of bottles, single and 4 pack cans, and on draught from coast to coast.